The kitchen is considered to be the heart of the house and it is often the most used space. Most of the women spend a maximum of their time in the kitchen. Every house has its own terms and conditions when it comes to how the kitchen should turn out to be. However, in today’s modernized world, women are moving closer to the modular kitchen setups since they have a lot of benefits and also look pretty attractive. But before you go ahead with the installation plan of the modular kitchen there are certain things you should bear in mind so that it turns out to be exactly the way you would want it to be. When it comes to selecting the design of the modular kitchen then it would depend a lot on exactly what kind of space is currently available in your kitchen. For instance, if you have a smaller space then you can go in for a straight or a parallel modular kitchen otherwise the area of the kitchen would seem to be cramped up. For those who have a lot of kitchen space can go in for either an ISLAND or a U shaped design. It is very much important to identify exactly what would be the storage requirements so that accordingly you can make a proper plan on the shelf cabinets, drawers or the tall units as part of the modular kitchen. The storage requirements are directly related to the usage pattern whether you plan to stock in the supplies or the grocery for months or weeks. Also when you plan out the drawers and the cabinets then you would need to ensure that it would be easier even for the elderly of the house to operate them. When we talk about kitchen then the first few things apart from delicious delicacies that comes to our mind is the smoke or the fumes. Hence there is a need for proper ventilation. This can be only done by ensuring that there are windows properly installed at the appropriate places in the kitchen. Also now-a-days the modular kitchen come along with those in-built chimneys wherein you can set the temperature as well accordingly. You can also look to install exhaust fans at the appropriate places. These exhaust fans should be placed very much close to the hob and they should be having their own separate plug point. One of the best advantage of these modular kitchens is that you are free to customize the space into various compartments based on your preferences. This would be helpful in the optimization of the space that is available along with providing functional benefits of the kitchen. You can plan out various areas in the kitchen for those gadgets as well as utensils. There can also be sectional drawers when it comes to storing of small kitchenware items. Stock up those items which you would be using on a frequent basis so that it would become easier for you to access. While designing the kitchen the main focus should be that it should be perfectly emphasizing your comfort. In kitchen it would be best to make use of some good quality lightings on the walls as well as on the ceiling. Try to avoid darker shade colours such as black or brown since they are not good reflectors of light. Before you design the modular kitchen space there are some pre-work that has to be done and one of them being identifying the slots when it comes to the plumbing as well as the electrical points. This is mostly important when you have an apartment house. However, when you have a separate independent house then this thing can be planned as per the modular kitchen unit. Ensure that the kitchen should be well lit and there is also an easy outlet for the water to flow out without leading to any issues in the future. There should be appropriate planning carried out in terms of your kitchen work areas such as the space for washing, cooking or stocking else it can lead to a mess of the space and you may have cramped up space. Ensure that the space between them should be three feet apart on the countertop so that there are free flow and smooth working in the room. Certain appliances can be integrated into the kitchen itself so that it would be reduce the clutter otherwise and also help in providing for a larger worktop area. The modular kitchens are basically designed in a way to make the life of the person simpler and make them work smarter. Hence while choosing the materials it is important to identify those materials that would not need much of the maintenance. Hence you can go in for the base materials that are pretty much low or moderate on maintenance. Steel is said to be one of the good option since it is very much durable and also easy to be kept clean. Also there are multiple designs which are trendier and stylish. But do not overdo steel since it can make the kitchen look cold as well as commercial. To get some warmth you can add in certain wooden cabinets or even the kitchen top can be granite finish so that it creates a much softer touch and look. 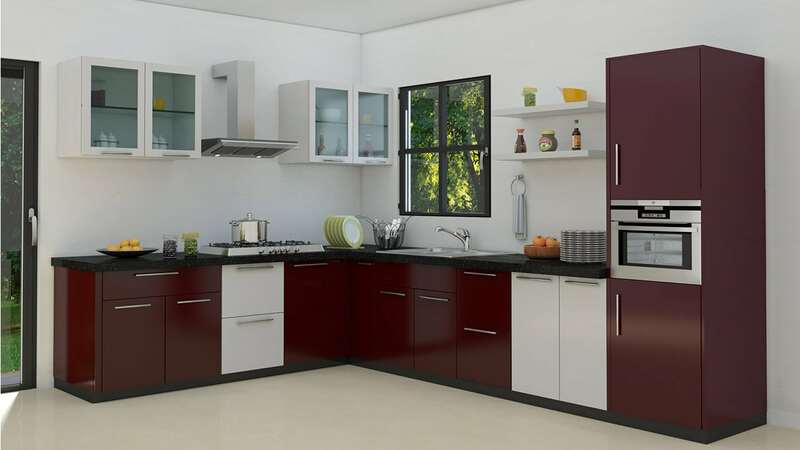 Pantry in the modular kitchen is basically known to be separate section or a cupboard wherein you can store different items such as crockery and food. For certain veggies such as potatoes and onions which are normally stored out of the refrigerator you can install wire racks in the pantry and stock them there so that they are very much handy and also do not get rotten. You can also look to install storage boxes which are available in multiple shapes and sizes which would again increase your storage space when it comes to various food items. As a rule of thumb there are certain standard measurements which should be kept in mind, The height of the countertop from the floor to the working surface should be 36”, the height of the base unit should be 34 1/2” and the width should be 24”, the width of the platform should be 24” and the thickness of the stone which would be used for the platform should be 1 ½”, the distance between the overhead wall unit and the kitchen platform should be 24” whereas the height of the wall unit from the countertop should be 18” and the width of the wall unit should be in between 9” to 18”. 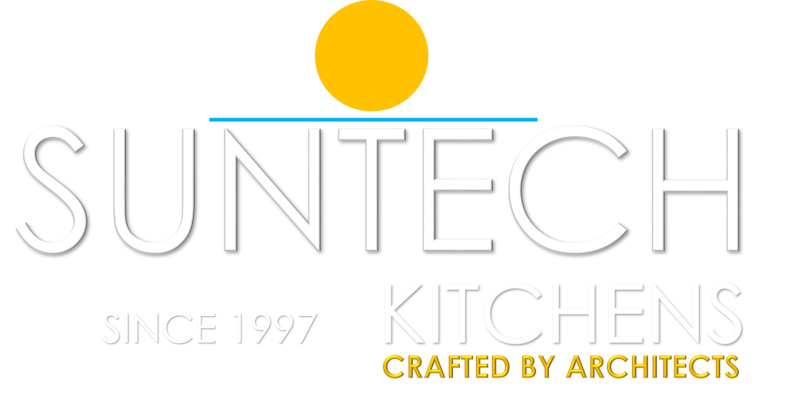 Why Should You Go for A Modular Kitchen?